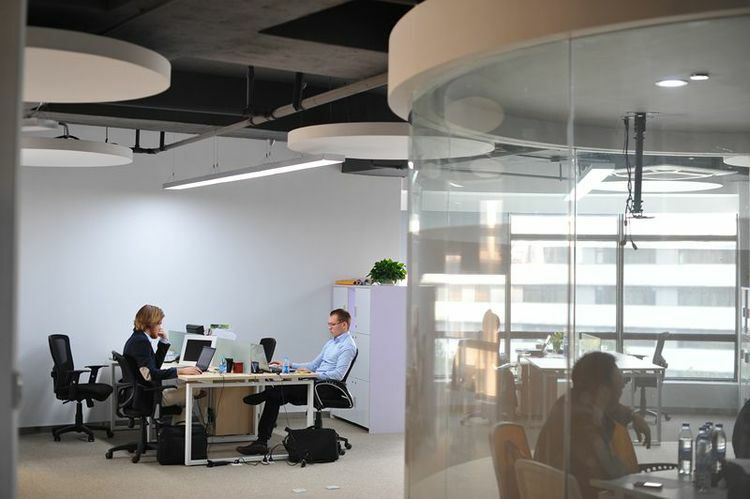 Whether you’re part of a fledgling company or just trying to get some work done in a conducive environment, Shanghai offers a co-working space that’s right for you. Some are little more than empty buildings with a smattering of desks, others offer high tech facilities, and still others host networking events to help you get your business off the ground. Whatever you’re looking for, it’s here. naked Hub, run by naked Hospitality Group, is the hippest of Shanghai’s coworking spaces. Its open plan floor allows entrepreneurs to easily network and socialize as they get work done. The place is open 24 hours and offers amenities like showers, filtered air, and free weekly massages. The daily fee not only gives you access to state of the art facilities, but also to free flow coffee, tea, water, and beer. There are 6 naked Hub locations throughout the city. In addition to co-working space, Yu-Link hosts workshops, seminars, and start up competitions, focusing on developing participant knowledge of a Chinese market. Open 24 hours, the 8611 square foot (800 sq/m) space boasts real (not instant) coffee, white boards, meeting rooms, and more. Additionally, Yu-Link offers company registration and visa support. Linkplace knows that working isn’t all about, well, work. Sometimes the most productive people are those who focus on fun. In addition to fully equipped work areas, the 24 hour facility contains a resource area complete with books, a smoking zone, games room with pool table, dining area with complimentary coffee and onsite gym. 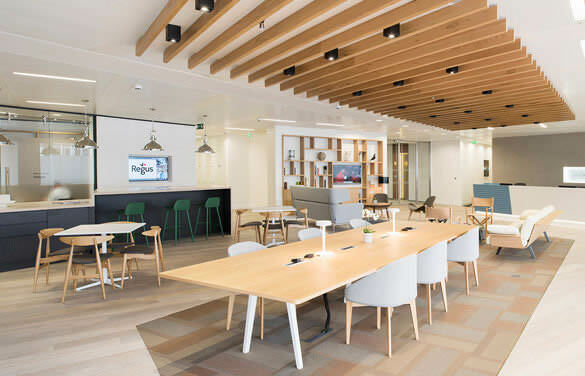 Regus is a major co-working corporation with spaces in over 120 countries, including 21 in Shanghai. One of the prime Shanghai spaces is located in impressive skyscraper Jin Mao Tower, adding to the high end business feel. 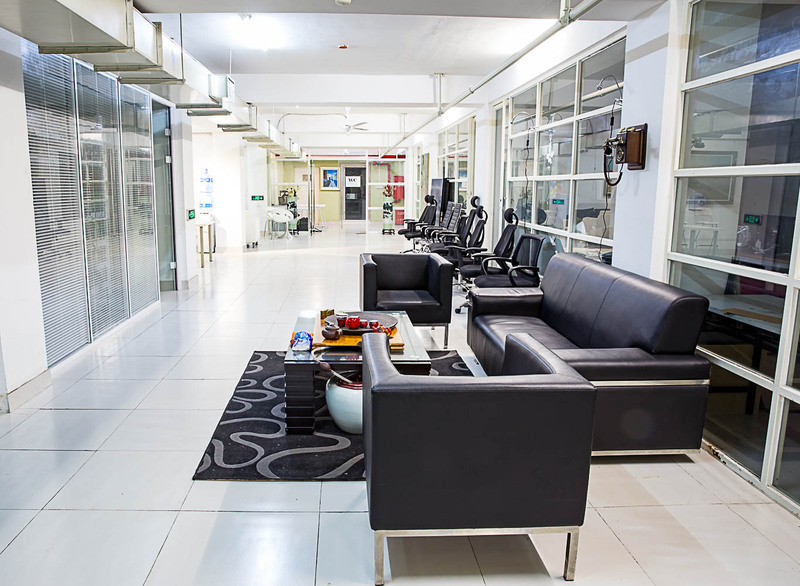 Offices are open 24 hours a day, but the business lounge is only accessible from 9am to 6pm on weekdays. Access to the lounge can be granted for an inexpensive monthly fee. Although already an international name in coworking, WeWork is a bit of a newcomer to Shanghai, currently offering two locations in the heart of the city. The spaces focus on natural light so workers don’t feel closed in. Each location is equipped with a common area, bar, open offices, private offices, and conference rooms. There are also plenty of electrical outlets, so no one need fight over them. People Squared is China’s oldest co-working space. Now in several locations throughout Shanghai, People Squared takes inspiration from Google’s offices and has recently joined the Google for Entrepreneurs program to offer its users coveted resources only a name like Google could provide. Agora Space consists of a few apartments that have been converted into working space. Space is limited, but the atmosphere is relaxed, the wifi is fast, and the staff are friendly. The front desk ladies will help you print, make coffee, order food, and schedule deliveries, among other things. This is one of the most economical options on the list. BaseCo is a real estate company in Shanghai who host a co working space on the first floor of their Anfu Rd building. One unique feature of BaseCo is that they run their own VPN through the wifi router, giving customers access to blocked websites. The wifi itself is also super fast at 25Mbps. The space is open every day from 9am to 9pm. Sandbox3 is the only free coworking space in Shanghai. Because of this, the atmosphere is very laid back and non-professional, catering to college students and small startups. On your first visit, you are required to sign up with a personal ID and download the Sandbox3 app. Once signed up, you will be issued a card that gives you 24/7 access to the facilities. Coffee, food, and private meeting rooms cost money. There are three locations throughout the city. Xnode describes itself as a “startup accelerator,” offering networking and collaboration opportunities for small companies as well as events at which clients can pitch ideas to venture capitalists. Access to the common area is free, but outlets there are limited. There are five Xnode locations in Shanghai.